तो क्या ये चाहने में कमी का असर है, या फिर हालातों का फितूर जो कुछ लोग इसी दुनिया की भीड़ में कहीं खो जाते हैं. हर कोई तेंदुलकर या धोनी तो नहीं होता, पर सब द्रविड़ जैसी मेहनत तो कर ही सकते हैं, फिर क्यों कुछ लोग अपने हुनर का सदुपयोग नहीं कर पाते. हर कोई सीईओ तो नहीं बन सकता, पर क्यों वो सीईओ बनने के ख्वाब भी देखना भूल जाते हैं, क्या उनमें हिम्मत नहीं होती, या वो इसे अपने से परे समझ कर, उसकी इच्छा रखने का साहस ही नहीं कर पाते. क्यों मन में इतना डर, क्यों दिल में इतनी असुरक्षा की भावना हमें आगे बढ़ने से रोक देती है. क्यों वो आखरी ओवर में १५ रन बनाना असंभव लगने लगता है, क्यों हम प्रयत्न करने से पहले ही हार मान लेते हैं. जहाँ ज्यातादर लोग, अपने को इस सोच में उलझा हुआ पाते हैं, वही कई लोग ऐसे भी हैं, जो इन बातों पे जीत पा कर इनसे ऊपर उठ जाते हैं, और उन्ही को चढ़ता सूरज इत्यादि जैसे वाक्यों से सम्भोदित किया जाता है. तो क्या ऐसे लोग बाकी लोगों से अलग होते हैं, क्या उनकी परवरिश किसी ख़ास प्रकार से की जाती हैं, या फिर खुद ही वो अपने को इतना बुलंद कर लेते हैं, कि खुदा भी उनकी रज़ा के सामने झुक जाता है. जो भी हो, वो इतने भी अलग नहीं होते कि उनकी तरह कोई और बन ना पाए. आखिर गवास्कर के बाद किसने सोचा था कि एक तेंदुलकर आ जायेगा, और तेंदुलकर के बाद किसने सोचा था कि एक कोहली आ जायेगा. ये वो लोग हैं, जिनको भरोसा होता है, कि वो कुछ कर सकते हैं. ये वो लोग हैं जो दिन भर रात भर केवल उसी सपने को जीते हैं, ये वो लोग हैं, जिनके लिए जीना अपने को उस एक लक्ष्य के प्रति पूरी तरह समर्पित करने के बराबर बन जाता है. ये लोग उन अनेक लोगों से आगे बढ़ जाते हैं, जो हुनर होने के बावजूद, इसी दुनिया के किसी कोने में अपने को खोया हुआ पाते हैं. Being a badminton player myself and having gone through the ups and downs associated with competing in any sports, I strongly believe that athletes and players who dedicate their lives to their motivation and to the nation at the end of the day, deserve much more than what they get, especially in our country. Was immensely disappointed seeing the state of affairs on an airport where I happen to land recently having taken a late night flight. Saw the likes of our very own badminton stars P.V. Sindhu and Srikanth Kidambi queuing up to get clearance from customs. Imagine the kind of stress and effort that these players go through while competing in the international events. What you want the least after having gone through the gruelling is to wait for an hour or so to come out of the airport. Imagine if it were a Sachin Tendulkar or a Mahendra Singh Dhoni! Would our authorities ask them to queue up in the same line as other commoners? Then why this discrimination when it comes to Badminton players or any other sports for that matter. Shouldn’t these players not be given the facilitation of not having to queue up in the same manner as any cricket player? Though, it was wonderful having got an opportunity to get a glimpse of these players, which otherwise is a rarity, considering the celebrity status attached to each one of them, yet I believe that it’s high time we rethink about our discriminatory ways and bring all sports to the same platform of respect and honour. Do you think India should have cricket as the National Sport? Why do Sports like Badminton/Football/Hockey not get enough coverage? On being asked, a Dutch guy mentioned the national sports of India to be Cricket. It was strange to hear that but not strange to comprehend as to why he said so. What to talk of this guy who has never lived in India, there are many Indians who wouldn’t be knowing the same. Is it because of the sheer amount of media coverage that a Sports like Cricket gets in our country? I guess this might be one of the reasons. In fact, there was a whole talk to make cricket as our national sport replacing Hockey. We all come to know whenever there is an IPL going on. But we never come to know when an PHL (Premier Hockey League) is going on, and for some who are fortunate or unfortunate enough to know this, don’t really bother as to what’s going on. Why is it so? Is it because of the enormous amounts of funds and sponsors that Cricket gets? Yes, indeed Cricket gets a lot of sponsors and media coverage, but then one is forced to wonder as to why other Sports do not get sponsors and media coverage. Is it because the funds that are supposed to be used for their publicity are not being used for the same purpose and are being withered away, as a part of corruption? Is it because the heads of the sports organizations in our country, some of which have been holding on to the post since ages (more than 10 years in some cases), have been minting money out of the funds that were supposed to be used for promotion of the respective sports? These questions need to be answered and dealt with in case India has to become a sporting Nation and in order to being able to perform well in International Sports Events such as the Olympics. The place where the reforming process can begin from is by replacing the Secretaries or the Presidents of the various organizations, mostly bureaucrats and politicians, who have been holding on to their posts for years now and have made it a source of their illegitimate earnings and replacing them with sportsmen in the respective field, who having faced the situation might be well aware on the improvements that need to be brought in the functioning of these organizations. Bell Controversy: Was Dhoni right in withdrawing the Appeal? Where there is a Bell, there is a deep deep well. Well ! Well ! Well ! Can India live without controversies? Not really, and our Indian team is no stranger to the controversies. A huge debate has followed the controversial run out appeal and its withdrawal thereafter by our generous captain M S Dhoni. Some experts of the game argue that it was not the right thing to do on part of M S Dhoni’s. Everyone who has seen the replays knew that Bell should have been given out considering the rules of the game and considering that Bell initially ran for the run and then when Morgan stopped him from running, he simply refused to return to the crease and instead opted for moving along with Morgan towards the pavilion. After seeing the replays, my opinion was that Bell thought about going back to the crease but by then it was too late to go back, so he acted in a way which was the most convenient, just pretend as if the only thing that he knew was that Tea had been taken. What to say about Dhoni? Such a gentleman of the game! I seriously don’t know why he would want to withdraw the appeal. Yes, one reason could be to gain the good will of the crowd and the English team, but is he there for gaining all this? One would be tempted to say that his first objective is to play the game and propel India to a victory and secondly if someone does not play within the rules of the game, then to act in a manner which will put forth the implementation of the rules. But in this case, just because Bell did a misjudgement, Dhoni shouldn’t have acted in the manner he did, considering that senior players in the team like Dravid also looked upset during the post day news conference. The decision should not, but can have an impact on the morale of the players and in fact it did to some extent seeing the body language of the players in the third session. I am not saying that the result would certainly have been different if Bell would have been given out then, but then cricket is a funny game and you never know what could have transpired in case he was given out. It was baffling to see some experts like our own Sourav Ganguly believing that what Dhoni did was in the spirit of the game, considering the fact that what Sourav Ganguly did by taking his shirt off was totally not in the spirit of the game. My only question to these experts is when players do appeal frivolously knowing that a batsman is not out then does that count in the spirit of the game? And here there was no question about the spirit of the game, it was about implementing the rules of the game which were never implemented. It is similar to saying that Sachin Tendulkar ran himself out because he thought the fielder wouldn’t throw the ball towards his end and therefore he continued running. But do you buy this argument? Having said that,the English batsmen played wonderfully well to achieve such a score. Let us know below whether what Dhoni did was right in your opinion. The battle for the No. 1 spot in the arena of test cricket is currently on at Trent Bridge. What a start India got with Indian pacers tearing apart the front line English batting order. If the first session was a good one for India, the second definitely belonged to India on the first day of the test match. But with some great batting shown by Stuart Broad and Graeme Swan, they managed to restore some pride for England in the third session. In spite of the 73 run partnership between the two the England team were bowled out relatively cheaply. India started on a bad note with Abhimanyu Mukund perishing on the first ball that he faced from James Anderson. 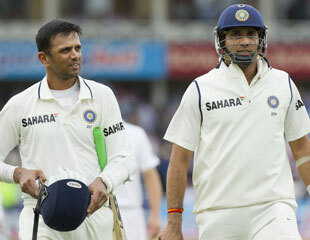 What followed was a shear act of survival shown by the two greats Rahul Dravid and V V S Laxman. As I am writing this article, the two are still battling in the swinging conditions that Trent Bridge is offering to the bowlers. A good first session can do a lot of good to the prospects of Team India winning this test match and retaining their No. 1 spot. 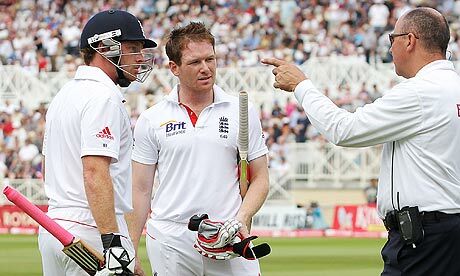 The loss to England at Lords recently can be considered as a wake up call for our Indian cricket team. It was not that we played very poorly, but the application and determination on the part of the players seemed to be lacking. The inclusion of Zaheer Khan and his injury in the very first session of the test match was a severe blow. With 3 blowers left to work with for Dhoni, it was always going to be hard. And it was further perpetuated by the dismal fielding performance by our side with Dravid missing a couple of chances in the slip cordon. It was later known that Tendulkar was not match fit and the injury to Gambhir while fielding on the short leg didn’t help team India. As a result, the batting order in the second innings was in shatters. Laxman and Dravid succumbed under pressure in the 2nd innings to uncharacteristic shots with Dhoni once again continuing with his bad run with the bat. And when Harbhajan went in for that slog pull shot, the game for India was all over. Few things that India could certainly improve upon is not to include players in the team who are not match fit. Secondly, apart from the top order, the lower order batsmen should show the grit and determination by trying to stay on the crease and provide support to a top order batsmen rather than going for a slog shot and throwing away their wicket. 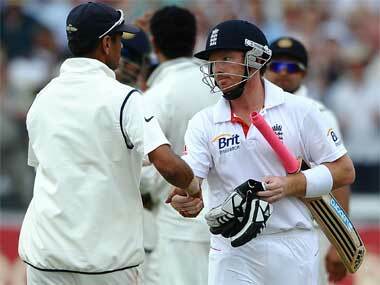 We saw how Broad and Prior batted superbly well for England in the 2nd innings. All in all, not a good start for India. But India has had a history of coming back to form as the tour progresses. Hopefully, this time around Dhoni’s men would turn the table round from 2nd test onwards slated to begin from the 29th of July. The name in itself says it all. The name is synonymous with excellence, committment, discipline, motivation, achievement, humbleness, honesty, team-spirit etc.etc.etc. I am running out of words here to describe the name and pardon me if I have forgotten few. Though nothing needs to be said on the great man, for articles on him cannot even come close to what this great man has accomplished in his life, I am writing this article to motivate those 0.0001% guys in our country who are still upset with him for something or the other. For those who believe that Sachin Tendulkar is a selfish player should not forget that even in his selfishness lies the good of our team. After all, if we look at the records, everytime he scores a 100, the probability of the team winning the game increases. It is quite evident from the stats about the no. 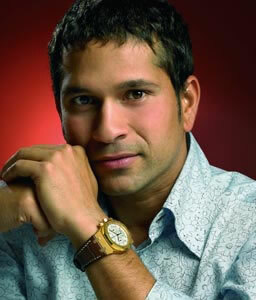 of matches won by India when he was rewarded with a Man of the Match award. If this selfishness can do such great things for India, I would want him to be utterly selfish in his conduct. So, it’s an earnest request to all those 0.0001% to atleast give some credit to the great man for what he has achieved over time and for what he has been able to do for Team India during this period. 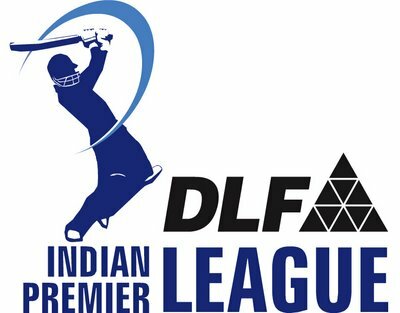 How commercialized the sport has become is quite evident from the recent controversy between the brand ambassadors of the prime competing Whisky brands McDowell and Royal Stag. In one of the advertisements promoting their brand, McDowell, the UB group under the Mallyas, have ridiculed Bhajji, who in another advertisement is seen to promote Royal Stag in similar situation which can well be inferred from the ads. Can such a controversy which involves huge amounts of money effect the player’s psychology as well on the field? If it does then is over commercialization, where one player doesnt even think about ridiculing another, when it comes to making money, healthy for a team and for cricket as a whole?